International Pop Overthrow - Chicago continues tonight at the Red Line Tap. For a preview of tonight’s lineup, and tomorrow afternoon’s, see my previous two posts. 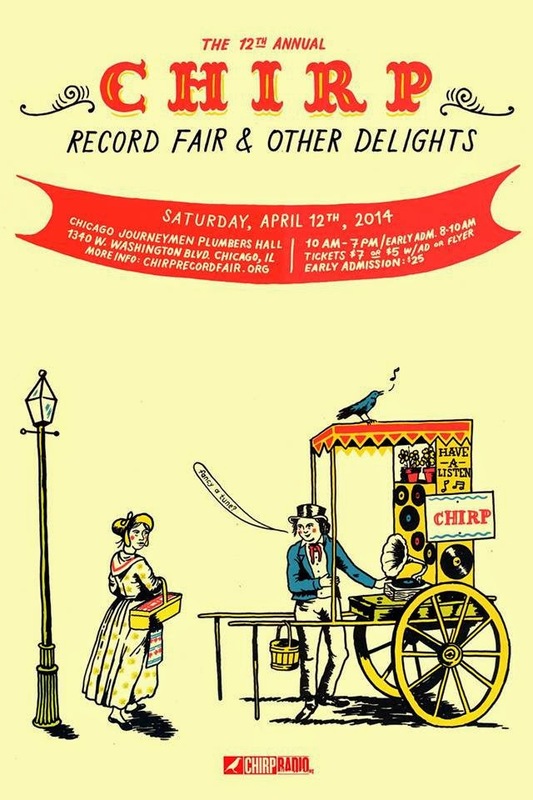 The 12th Annual CHIRP Record Fair And Other Delights will be held tomorrow, April 12th at the Chicago Journeymen Plumbers Hall, which is just west of downtown. Sixty vendors will be selling vinyl, CDs, DVDs, and various collectibles. Food and beverage vendors will also be on hand, including Goose Island, Dark Matter Coffee, Big Star, and Upton’s Breakroom. Tickets are $7, or $5 with a CHIRP ad, flyer, or a coupon that can be printed from the official website. The doors open at 10:00 AM. 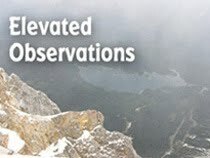 The Patio Theatre on Irving Park Road in Chicago is hosting a Sci-Fi Spectacular tomorrow, starting at 10:00 AM. Organizers promise “16 HOURS of SCI-FI MOVIE MADNESS!” along with special guests Doug Jones from the Hellboy flicks and Pan’s Labyrinth; and Kyra Schon from Night Of The Living Dead. The films being screened include Godzilla VS. King Kong; Legend; Buckaroo Bonzai; Night Of The Living Dead; Pan’s Labyrinth; Buffy The Vampire Slayer; and the vintage A Trip To The Moon, accompanied by an organ player. SOPRO presents its 27th Annual Easter Parade Chicago All Star Blues Revue at Sullivan’s Pub in Midlothian next Saturday night. The critically acclaimed quartet The Chicago Horns will once again be performing, and the list of musicians scheduled to jam together includes guitarist-vocalists Joey Drada, Frank Anastos, and Billy King; bassist John Falstrom; drummer Jay Frank; harmonica player-vocalist Doug Lee; and vocalists Peaches Staten and France Marie. The show starts at 9:00 PM, and in addition to the live blues, there will be prize giveways. Nirvana was inducted into The Rock And Roll Hall Of Fame yesterday, just about a week after the 20th anniversary of Kurt Cobain’s death. I found an interesting Facebook post describing the experience of discovering this groundbreaking grunge band. Back when I was in the Famous In The Future comedy group, my fellow founding member Frank Carr and I would often lend each other CDs. Frank has an extensive appreciation of music ranging from Pink Floyd to punk, and has attended numerous concert events. Chrissie Hynde has created a sort of slice-of-life video for the song “Dark Sunglasses” from her upcoming first-ever solo effort, Stockholm. The album is due out June 9th in Europe and June 10th in America, but is available for pre-order on iTunes. A while back, I mentioned the Shoes and Paul Collins Beat double bill coming up at The Bell House in Brooklyn on May 10th. Shoes will also be at the Memorial Opera House in Valparaiso, IN on May 31st, and there’s a TBA for an upcoming gig on July 19th. Rubber Soul rubber soles. The March issue of the UK magazine Record Collector is now out here in the States, and it’s devoted to the original British Invasion. There’s a reference on the News page about some new Beatles shoes from Van’s. They look pretty cool. The Twigs, AKA Linda and Laura Good, have live dates coming up in Los Angeles on June 6th and 7th, and at the BoxerwoodStock Fest in Virginia on July 12th. The duo’s Facebook page promises upcoming dates in Chicago and other locations. Details have yet to be be revealed, but it looks like The Twigs will be playing a mix of songs from their recently released children’s CD Jump Right In, as well as other material.